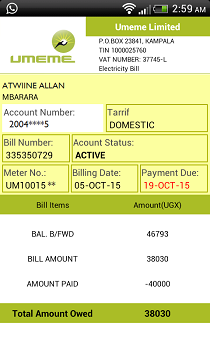 Use your account or meter number to check your payment statements or review your bill for post paid. 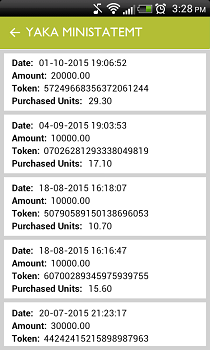 Pay for your electricity bill using the mobile transactions aided by the telecom network of your choice. 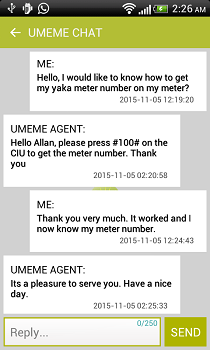 Send reports & and inquiries and chat in real time with UMEME call center agents. 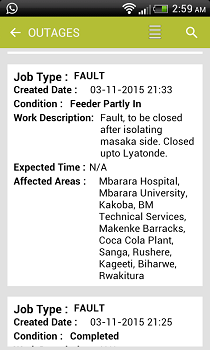 View the monthly planned shutdowns and the current ongoing power faults to stay informed and prepared. 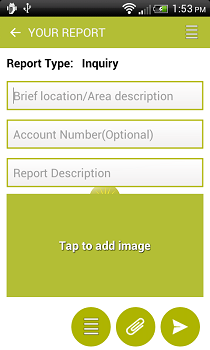 View the UMEME service centers in all regions in Uganda by google maps, get navigation aid and know how far they are. 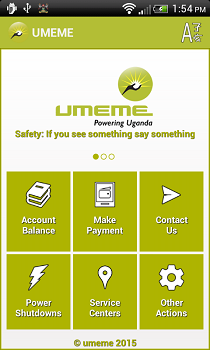 Read News about UMEME, get Tips & Tutorials, get a New electricity connection, tarrif structure and the app settings.